With ski season in full swing, here is a breakdown of some of the best ski mountains in each of our New England States, including number of trails, lodging, and fun facts. Local legend Walt Schoenknecht of New Haven opened Mohawk Mountain Ski Area at Mohawk Mountain State Park in 1947. The Ski Hall of Famer was also the first to use a snowmaking machine. Ski: 25 trails, 12 for night skiing. Lessons available for all ages, group or private. Stay: The nearby Interlaken Inn and Cornwall Inn both offer Ski & Stay packages. Located on Ragged Mountain, you can glimpse the waters of West Penobscot Bay while you ski its slopes. Be sure to check out the tobogganing, too. Ski: 20 trails for all levels; eight for night skiing. Stay: Snow Bowl Partner Deals include 80 nearby options for lodging–choose from family suites, B&Bs and five-star hotels. Famous for its night skiing, Shawnee Peak is located on the northern end of Pleasant Mountain, and is said to be the oldest major ski area in Maine. Ski: 40 trails for beginner, intermediate and advanced skiers. Stay: Noble House Inn B&B in Bridgton, or for the adventurous group–Pleasant Mountain Yurt and Cabins at the top of the mountain. The largest ski resort east of the Rocky Mountains, Sugarloaf offers not just world-class skiing, but also a snowboard cross course and a huge indoor activity center with a running track, rock climbing and skateboarding. Ski: 163 trails for all levels, plus tubing and cross-country trails. Stay: Ski & Stay packages include accommodations at Sugarloaf Inn, Sugarloaf Mountain Hotel and resort condos. Sunday River Ski Area spans eight interconnected mountain peaks from White Cap to Jordan Bowl. There’s even a sugaring house for making maple syrup in the spring. Ski: 135 trails, including snowboarding and night skiing. Stay: Three slope-side resort lodging properties, including the Jordan Hotel, Grand Summit Hotel, and Snow Cap Inn. Less than an hour from Boston, Nashoba Valley not only has skiing, but also tubing and snowboarding–it was, in fact, one of the first areas in the country to allow snowboarding. Sign up for a race, or for the volleyball league in the summer. Ski: 17 trails for beginner, intermediate and advanced skiers, including night skiing. Stay: The Residence Inn Boston Westford is only 1.3 miles away. The Algonquin word for “great hill,” Wachusett is the highest mountain in Massachusetts east of the Connecticut River. Its summit offers panoramic views, which include the Boston skyline. Ski: 26 trails available for beginner, intermediate and advanced skiers and snowboarders, plus ski and snowboarding school, and night skiing. Stay: The Great Wolf Lodge in Fitchburg is 5.8 miles from Wachusett. Home of the first overhead cable lift in the United States, Black Mountain is nestled in the White Mountain National Forest and all of its trails face south—“Ski in the sun!” is its motto. Ski: 45 trails for beginner, intermediate and advanced skiers, including lessons and night skiing. 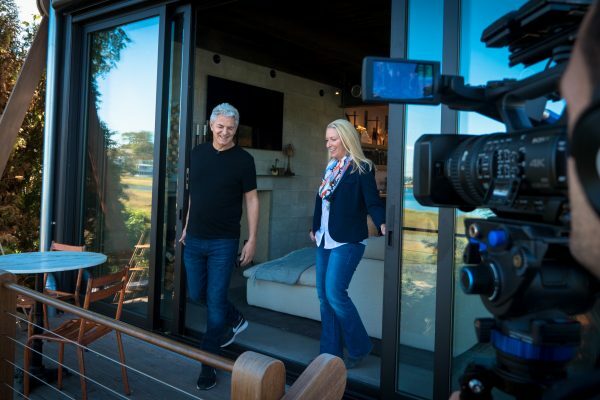 Stay: Nearby accommodations include Eagle Mountain House & Golf Club, and Nordic Village Resort. 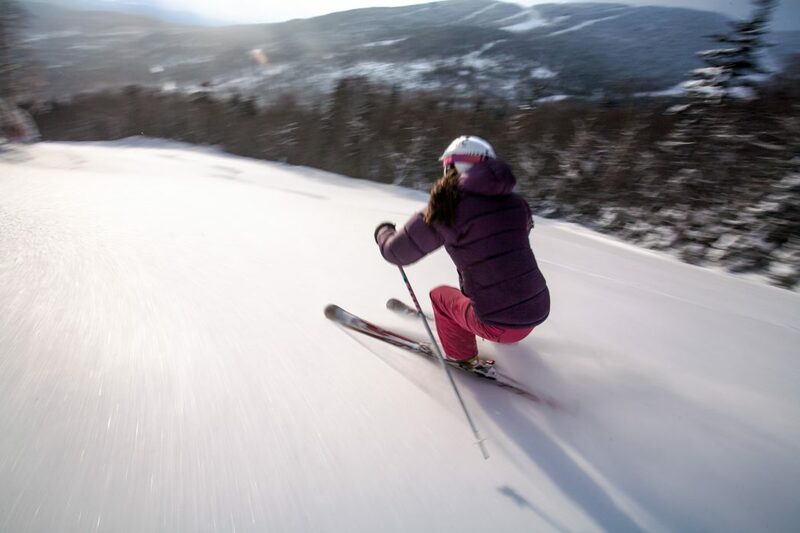 Known for its high standard of snow and grooming, Bretton Woods is a world-class ski resort that sits right next to the White Mountain National Forest. Ski: 62 trails for all levels, plus ski and snowboarding school. 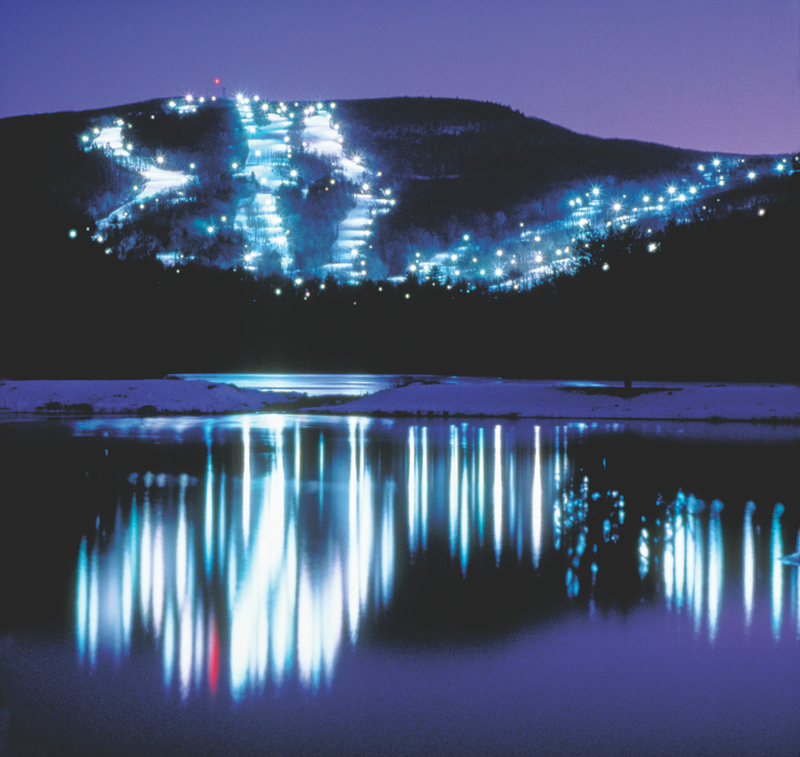 Check out the night skiing and dinner package. Stay: Accommodations include the historic Omni Mount Washington Resort or the Lodge and Townhomes at Bretton Woods. Located in New Hampshire’s White Mountains, Cannon Mountain was the site of North America’s first passenger tramway. Old logging records show the mountain has been used for skiing since 1929. Ski: 97 trails for beginners, intermediates and experts. Lessons offered for all ages. Stay: Vacation rental chalets by Franconia Notch Vacations or a suite at the Indian Head Resort are two options for lodging. Situated on Mount Tecumseh in the White Mountain National Forest, Waterville Valley is known for being a superb family-friendly resort. 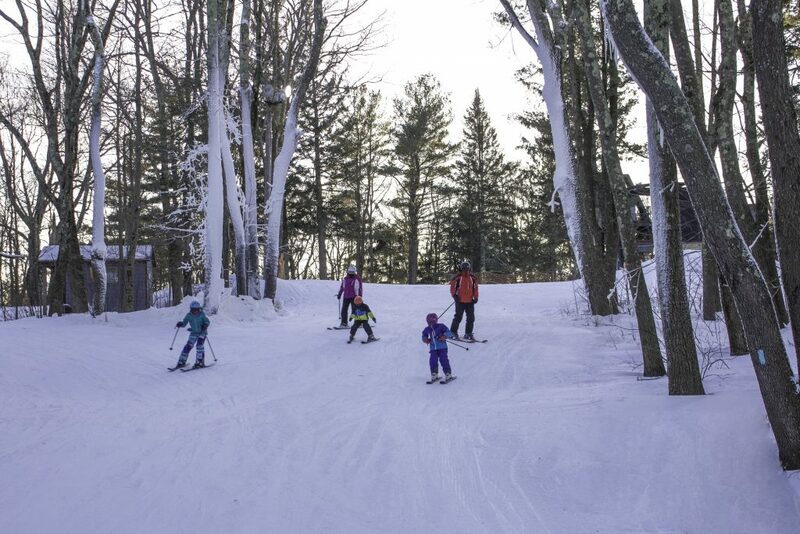 Ski: 50 trails for all levels, including lessons for all ages. Stay: Find a condo at Town Square Condominiums or a suite at the Black Bear Lodge. 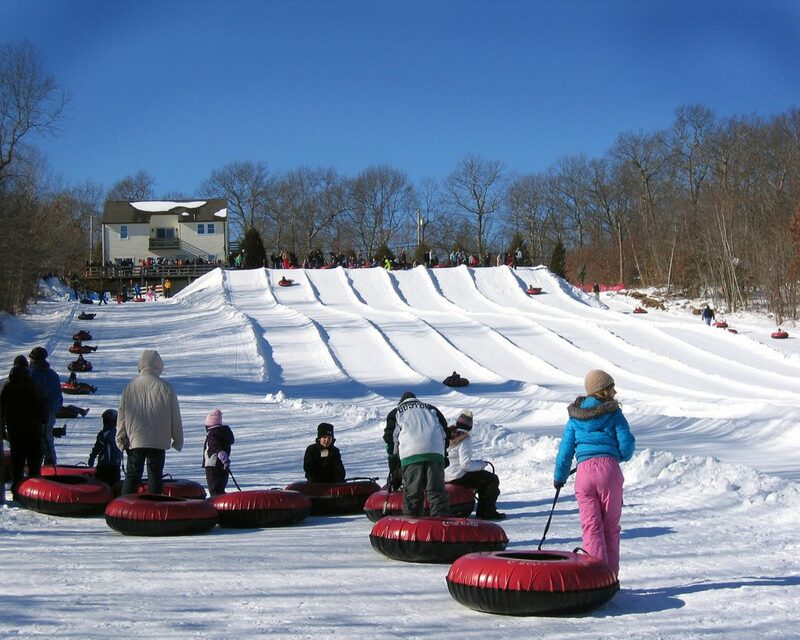 Opened in the early 1960s on the slopes of Yorker Hill, Yawgoo Valley is Rhode Island’s only ski area and snow tubing park. Visitors can come year-round – the water park opens when the weather gets warm. Ski: 10 trails, lessons for all ages including snowboarding lessons. Stay: Hampton Inn South Kingstown is the closest hotel, about five miles from Yawgoo. 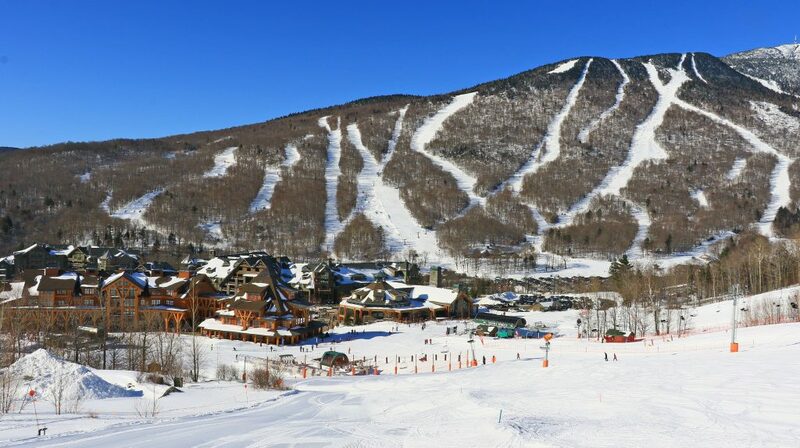 Well known not only for its skiing, Jay Peak, located near Burlington and the Canadian border, is a year-round resort with an indoor water park, ice arena, and even a championship golf course. Ski: 78 trails for all levels. Check out the Ski Club – serious training for kids who are serious about skiing. Stay: Hotel Jay & Conference Center and Timberline Cottages & Condos are two of the many options located at the resort. The second-highest peak in Vermont, Killington Ski Resort is said to be the largest ski area in the eastern United States. 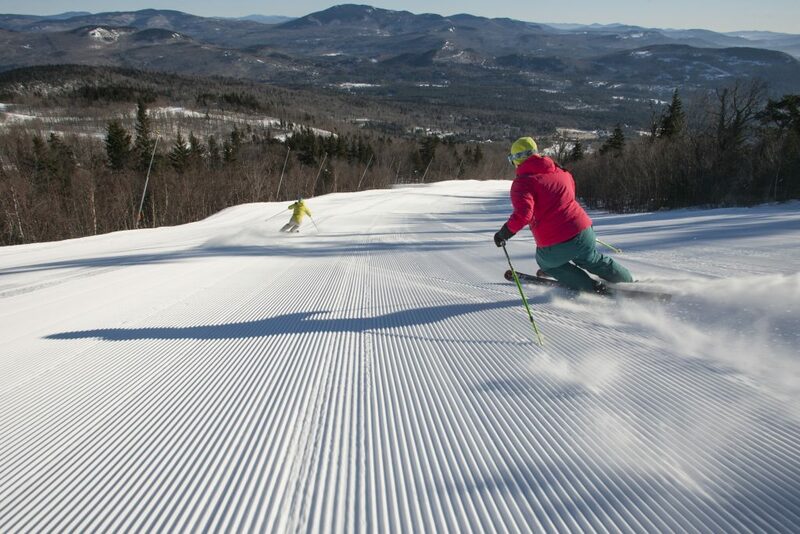 Ski: 155 trails for all levels; plus, a double black diamond mogul trail. Yikes. Stay: Check the website for packages, which include stays in condos, inns, resorts, and vacation rentals. Boasting a spot on the National Register of Historic Places, Mad River Glen is nestled in the Green Mountains and is well known not just for its challenging skiing (“Ski it if you can” is its motto), but also for its environmental education programs. Ski: 20 trails for all levels, and ski school for “beginners to experts, toddlers to seniors,” according to the website. Stay: Nearby options abound, from condos to private homes to inns and B&Bs. 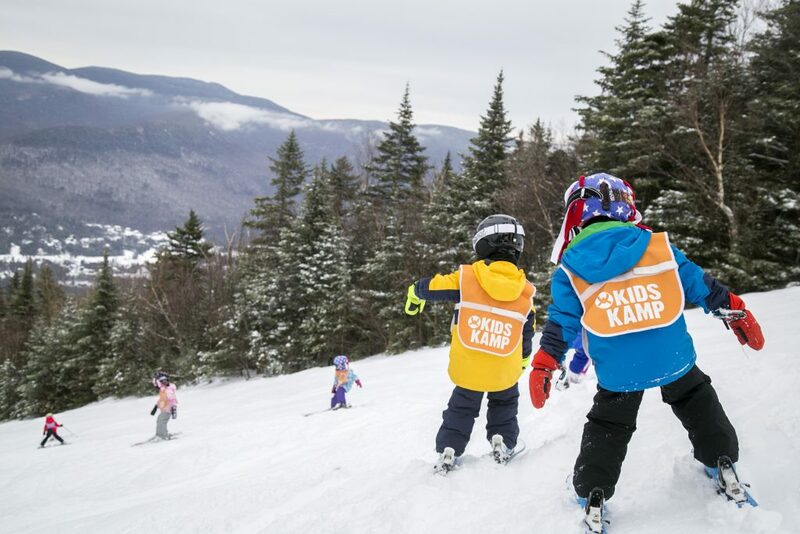 “Smuggs” is known for creating the best family experiences, with children’s programs focused on the environment and meeting new friends, while parents can relax – kids are in good hands with the friendly and expert staff. Ski: 78 trails for all levels, ski school for all ages. Stay: Choose from a variety of condominium communities with condos ranging from studios to five bedrooms. The name Stowe is synonymous with skiing. Located right in the heart of the idyllic Vermont town, Stowe and the surrounding area offer not just great downhill skiing but also snowboarding, cross-country and backcountry skiing, and snowshoeing. Ski: 116 trails for all levels, with the longest trail being almost 4 miles. Stay: A number of hotels and inns abound near the resort including the famous Trapp Family Lodge and the historic Green Mountain Inn. Located in Vermont’s Green Mountains, Sugarbush is stretched between two mountains, Lincoln Peak and Mt. Ellen. Not only does Sugarbush offer some of the best skiing in Vermont, it also boasts other activities, including snowshoeing, kids’ adventures, and a health & recreation center. Ski: 111 trails for beginners (including ski school), intermediates, and experts. Stay: With numerous options, guests can choose from condos to country inns, either for the solo traveler or for large groups or families.